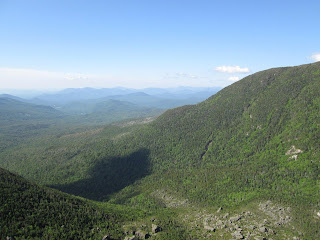 When I was 11 years old, my mother took me on my first White Mountain hike, a hut-to-hut trip from Greenleaf to Galehead. Despite the 7.7-mile, 10-hour day spent constantly swatting at New Hampshire's infamous black flies, by the time I completed the trek, having summitted Lafayette and Garfield along the way, I was hooked. Fast-forward 11 more years and here I am, living and working in the White Mountains, and still slowly completing my 48 White Mountain 4,000-footers. For those of you not familiar with the popular quest to summit New Hampshire's 4,000-footers, take a look at the official AMC Four Thousand Footer Club website (http://www.amc4000footer.org/). Formed in 1957, at a time when many of the popular trails we trace today were nonexistent, "the list" gave aspiring mountaineers and novice hikers alike a reason to get out and explore some of New Hampshire's most breathtaking scenery. Today, the same holds true. Not without a price, of course - the blood, sweat and tears (or hopefully just sweat and maybe a few tears of joy!) required to reach the high summits make this quest not one to be taken likely. But beginner hikers, never fear - most of the summits can be reached on day hikes and nobody ever said you had to start with Mount Washington! As my time living and working in Pinkham Notch as a Backcountry Information Specialist began drawing to a close (today is my last day here at the front desk! ), I found a renewed sense of urgency to bag peaks and check off a few more 4,000-footers from my list before I move away from the mountains to start graduate school in Washington, DC. Two weeks ago, I had the overdue pleasure of returning the favor of a long, bug-filled hike to my mother. I somehow convinced her, my sister and a family friend to hike the 13.8 miles from Carter Notch Hut to Bangor Road, over the Carter-Moriah Range and its 4 recognized 4,000-footers (Oh, and did I mention that the three of them hiked over Wildcat Ridge the day before?!?). The day was long, but the views were worth it! This past weekend, on my last set of days off, I set out on another adventure, this time solo. On Sunday I hiked up and over North Twin and South Twin before dropping my pack at Guyot campsite and continuing on with a lighter pack to complete Bond, West Bond, and Bondcliff. (For anyone looking to head out to the beautiful Bonds, or simply to spend a night in the woods, I would highly recommend Guyot, or any of the other AMC backcountry sites. Find out more about them here: https://www.outdoors.org/lodging/campsites/index.cfm). While the clouds threatened rain and thunderstorms all day, the weather held off until my 15-mile day was over and I was safe and dry in my tent at night. The next day I made my way back to civilization by way of Zealand, Zeacliff and Hale, glad to be able to check another set of summits off my list. With 28 of the 48 4,000-footers now completed, I feel as if I can leave the Whites with a sense of accomplishment from this season. As for the last 20 - I'm sure I'll be back for more! Perhaps I will run into some of you on the trail! 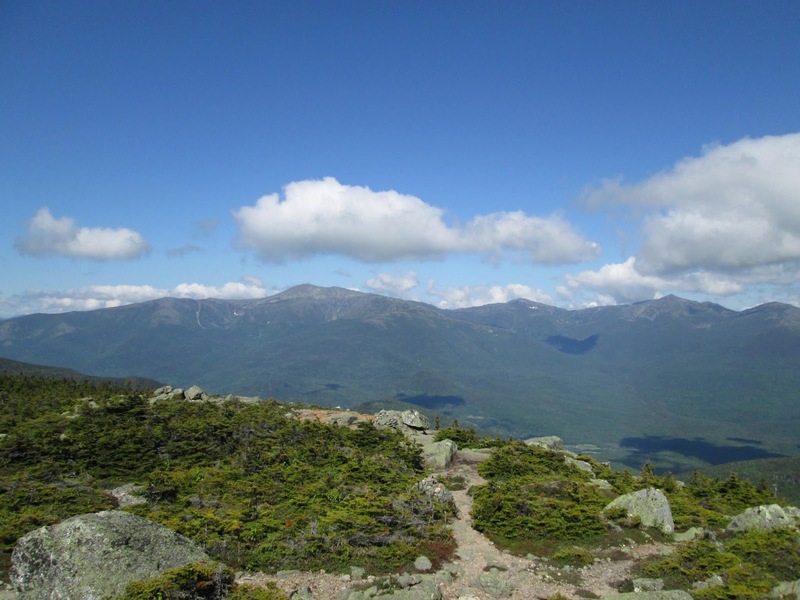 For any of you looking to check Mount Washington off of your list, consider joining the 13th annual Seek the Peak hike-a-thon to support the Mount Washington Observatory on July 20th. On a mountain known as being home to the "world's worst weather," the hike may not guarantee sunny, blue skies, but it is sure to be a fun-filled day with tours of the famous mountaintop weather station, prize giveaways, and a kick-off and after-party - all in the name of supporting the nonprofit institution responsible for collecting data, researching conditions, and educating the public on the science of climate and weather. nonprofit institution, helping it maintain its famous weather station on the summit of Mount Washington and continue its important work collecting weather data, performing research, and educating the public about the science of climate and weather. Participating in Seek the Peak is not only fun, but rewarding, too. Participants are thanked for their efforts with awesome freebies, a kick-off party, tours of our famous mountaintop weather station, and a huge after party with live music, great food, and thousands of dollars in prize giveaways. It's easy to see why Seek the Peak has grown to become the nation's premier hiking event. As we head into the 4th of July holiday weekend, please remember to hike smart and hike safe. Be aware that water levels have been higher than normal, due to the large amount of rainfall received over the last week. The White Mountain National Forest has issued an alert for slippery rocks and high water crossings throughout the region. Water levels can change rapidly and without warning, so always be aware of your surroundings and itinerary. The complete advisory can be found here: http://www.fs.usda.gov/detail/whitemountain/news-events/?cid=STELPRDB5426329. For more information on general safe hiking and preparedness visit the Hike Safe website (http://hikesafe.com/) a joint educational effort between the White Mountain National Forest and the New Hampshire Fish and Game department. Before heading out on any day or overnight trip, it is always a good idea to check the local weather forecast. The Mount Washington Observatory (http://www.mountwashington.org) provides a daily weather summary for both valley and summit conditions.